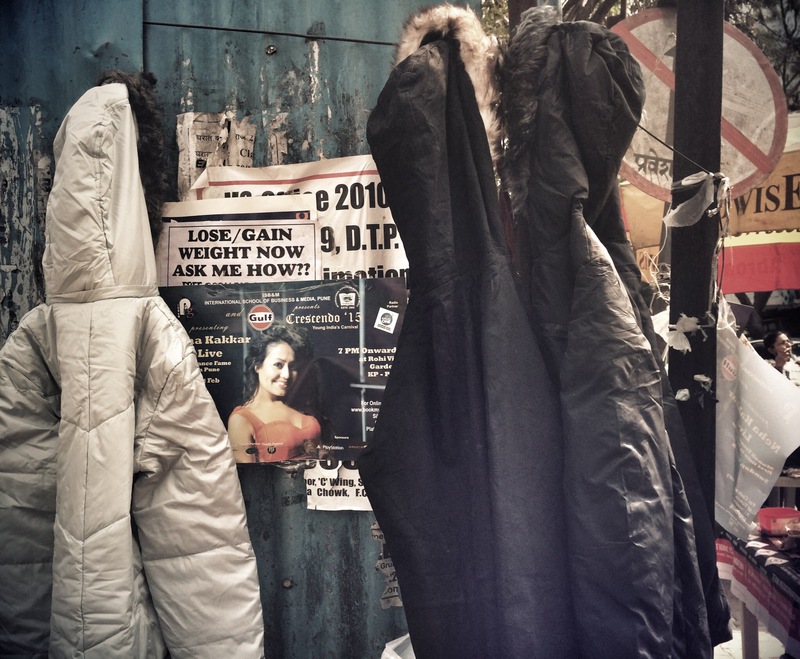 Many times when we walk on the streets of Indian cities, we find advertisements stuck on walls, trees and transformer boxes. These often tell us the type of services required by people and therefore made available by others. These advertisements often are just informational and less inspiring, and I believe these crucify the beauty of the city rather than helping much. I wondered if I am the only one thinking this and are these ‘actually’ helpful, so I decided to gather insights about it in my current city; Pune. I also found this article from IBNLive, Dated – Aug 30, 2012, talking about this issue in Bangalore. Apparently, there are ‘Advertisement By-laws’ of 2006, stating that no person shall display posters, flex boards, on any tree, electric poles or telephone poles in the city. I wasn’t aware of this. It made me dig deeper and find out more from people; those who put these up, others who see and find out what other alternatives are possible. This study sought to understand what impact do these advertisements have in our streetscape. How do they contribute to the cityscape? How does the nature of advertisements and the medium change the way our cities look? We interviewed people on streets, asked them to comment and share their experience, and we also used Quora to seek answers. It seems people very easily use these surfaces to grab attention though I could not find much data in favor of people getting benefitted by putting these up. Most said the public space is not anyone’s, so people are not affected much by their presence. Some people do not even notice any of these promotional sticker ads until they were visually engaging them. Repeatedly sticking them over and over again on walls, trees, and transformer boxes make them look untidy and worn out. Some people feel that these are a total distraction for the road user, and all of the blame is the government and corporations that don’t regulate these things. Of course, distractions could be so harmful on the roads. How are these billboards impacting the streetscape? Basic aesthetics and creativity came up while talking with some people (though not all). It is obvious that those who put these up use basic level Microsoft or Adobe skills to produce them. It was also pointed out typography or rather text style and size are important for them to get noticed. Some also talked about the posters of political parties with political figures on them that are visible especially during the election times; the remains of these advertisements stay for much longer time. 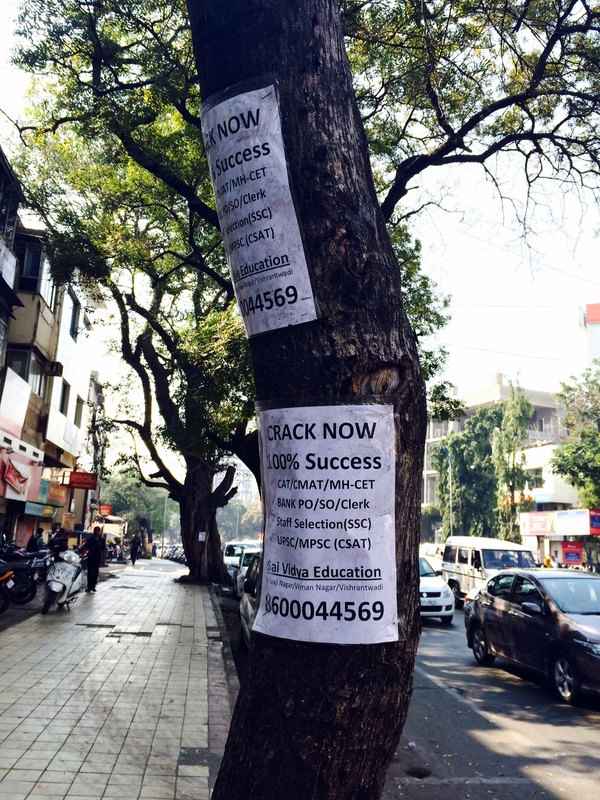 We also met someone who had stuck few posters on the electricity transformer box. According to him, on an average he gets two or three calls from customers since they had seen his advertisement. He gets these posters done by a local printing shop, and then distributes the photocopies in many parts of the city – at bus stands, near shops, etc. It seems that these undoubtedly serve some purpose in the city, and could be effective in what they do if these are somehow formalised. Is there a better way to communicate what these posters are trying to do at present? How might we use the public spaces to advertise, inform and publicize without creating visual clutter in the urban streetscape? Which one do you see? If these advertisement posters (with some degree of visual interest) are contextually present, they could be of better use for people looking for information and in fact also, would not clutter the streetscape. Another idea could be identifying places in the cities (along the street) where we could put these up and not arbitrarily have them in the entire town. The primary criteria could be that they have to meet some standards of creativity, size of the poster before sticking them there. There could be, in fact, an organization involved in setting and maintaining such city spots. Use of textured surfaces on other public walls could discourage them to stick these posters/bills elsewhere. 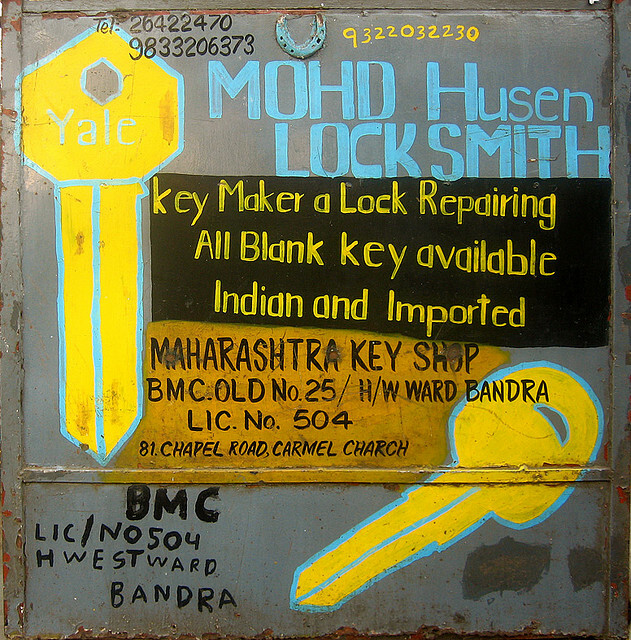 Meena Kadri has a fabulous collection of Indian street graphics on her Flickr page. She has excellent examples of how people in India have and are still using visually strong & beautiful imagery to express, advertise and inform. She talks about this as vibrant food for the urban Indian eye which craves novelty as much as it respects tradition. Use of these street spaces with colors and interesting messaging (if given valuable thought), before putting it up could make the streets more vibrant. It could still create that interest that is missing from the streetscape at present. Why has that skilfulness disappeared with a mere change in the technology (printing on paper)? Is it that the technology used is bounding? 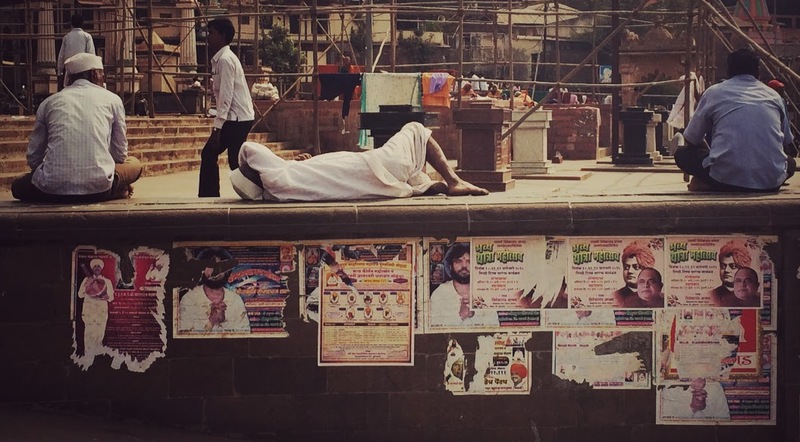 Ugly Indian‘s initiative of reclaiming the streets of metro India represents the view of many Indians who think art and creativity in urban spaces can help save Indian streetscape. If you have other ideas, I would love to hear those. Share in the comments section below or send me an email at the researchbook@gmail.com.